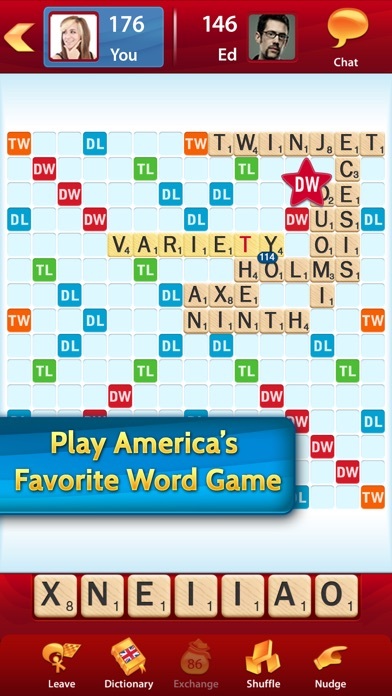 You put a word down, ad comes up and the game freezes up. Close out of it and do it again. Does the same thing. So. Many. Ads. Makes the game very annoying. I’m not patient enough. Had to delete. I would love to see a new way for keeping track of wins and losses ,,, since I’ve been playing since 2009 I have met a network of both men and woman who I play continuously With each day,,, with that being said it would be wonderful if this app could keep,track of my wins and losses with each individual player,,,,, make it more fun and competitive Can this be done? Excelent game! But many Ads. 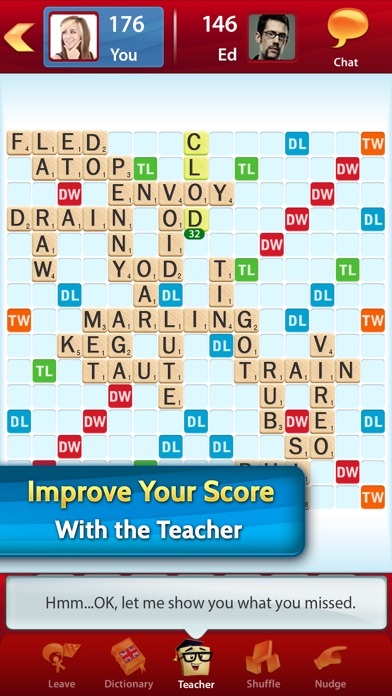 I love playing Scrabble and I agree with other reviewers that the ads that appear after every play are annoying and repetitive; but when playing as a single player the computer plays words that are foreign words, slang words, or not words at all. All of these words appear in the onboard dictionary but not in the Merrium/Webster dictionary. 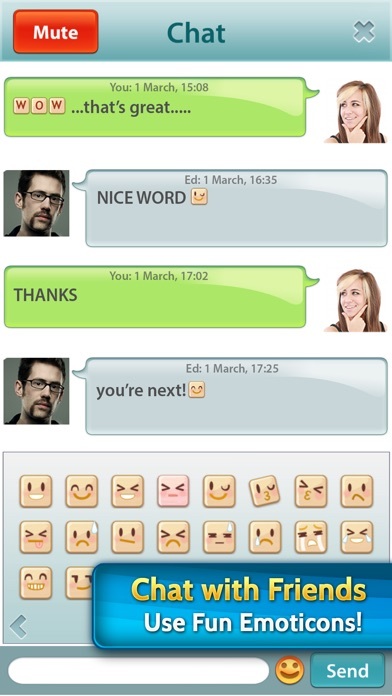 Here are some examples so you be the judge if the computer cheats or not: vidiot, aliya, eques, urp, urb, eejit, qintar, gangles, unau, gude, klong, archi, cinqs, atigi, fujis, gript, tae, yoof, yomp, aswim, ablush, nyah, quin, deshi, quintan, bedad, vlei, rangs, balti, obe, torc, eejits, fub, bothie, ulu, cunit, ogeed, moho, eruv, wali, vum, fah, inia, toyo, myc, tians, izard, atigi, zincy, vivat, emics, zlote, coady, adown, broos, anga, tetrose, roven, hoo, cabover, yage, ougiya, musjid, oma, arroz, cauri, santim, huic, vivat, dohs, oma,. I rest my case. My mom is 82. She raised me playing scrabble, which gave me a lasting love for the english language. She lives 25 miles away. 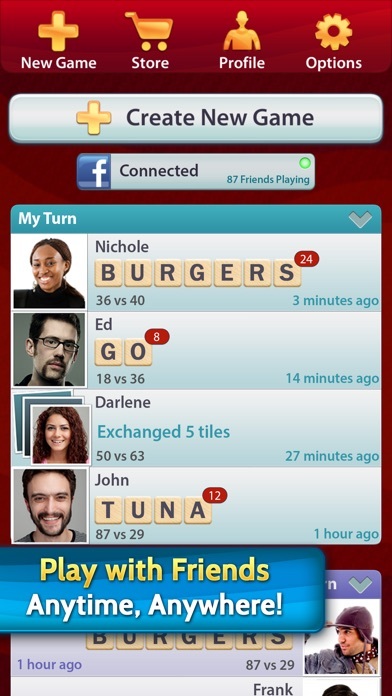 I may not talk to her everyday, but we keep a game of scrabble going. Most days I only play one or two turns, around 9:30 at night. It keeps us connected through the quiet times. 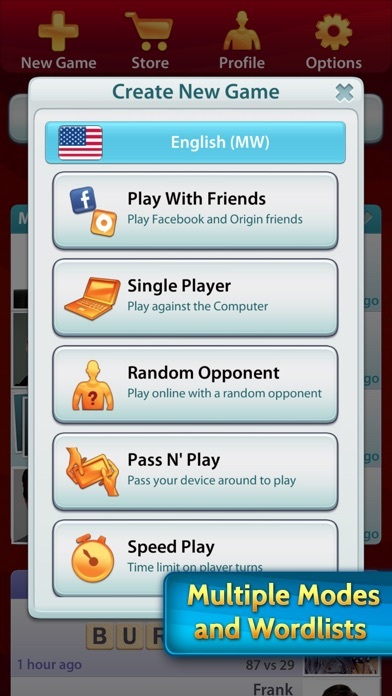 Too many ads very distracting - I’d pay $3.00 for the app not to have frogging Ads !